WARM HANDS = HAPPY KIDS: Want to keep your kids happy this winter? Let them play with your iPad. Want to keep them happy and healthy? 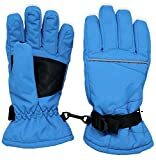 Put these ski gloves on them and take them outside! WATERPROOF: Whether your kid wants to throw snowballs or make snow angels, these waterproof gloves will keep their hands warm and dry. 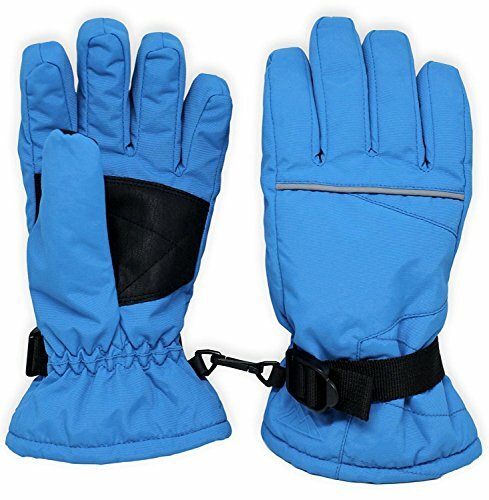 TOUGH: With a strong nylon shell fabric and synthetic leather palm, these snow gloves are tough enough for your lovable snot-producing factory. CUSTOMERS LOVE US AND OUR WARRANTY: With over 7500 5-star reviews on Amazon, our outdoor products are a favorite on Amazon. We put a 1-year no-questions-asked warranty on our snow gloves. Beat that. ★ HUGE SALE ★ Spread the cheer with our LIMITED-TIME HUGE KIDS WINTER GLOVES SALE. Take advantage before prices go up!